We’ve been working on the latest version for the last few months and we’ve made some final tweaks that we’re really happy with. Aside from what we’ve already covered before, there are a bunch of new items we’ve updated. Time zones give us headaches. And so when we were doing some testing we found that it didn’t make much sense to display your joining date and time in the server’s time zone. So, we’ve added a time zone entry on the profile page. To make sure you set it, the first time you log in you get a friendly pop-up to take you there. We try and guess the most likely time zone you’re in (because the list is quite long), so all you have to do is click save. Eventually we’ll be moving to a payment model (because we have bills to pay.) 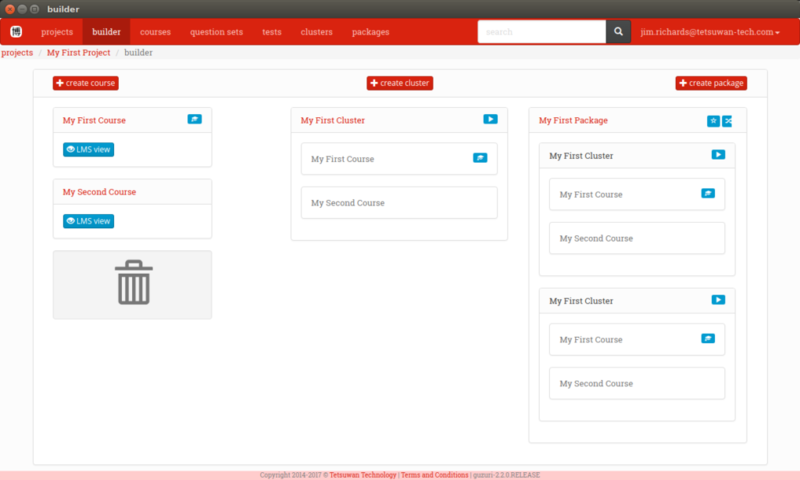 But for now we’re staying as a Fremium product because we really want everyone to use Hakase SCORM Course Builder without limits. So, in the user menu on the right, there’s a new setting for membership. The plan options will tell you the limits of the plan (e.g. how many projects you can create, etc.) But for now, there are no limits. We’re looking forward to getting this version up and running real soon.